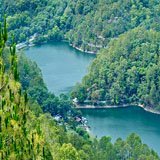 "Location is quit cool if u r looking for beautiful view but only if u have car because u need to get down more thn 2 km to reach barabazar area or nainital lake. 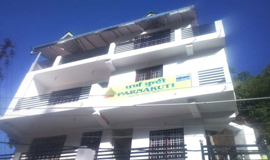 staff is very co operative operational manager was very helpful""
"The hotel is around 8 km away from Nainital and of a moderate type, do not expect much from the property although staff is nice and cooperative. 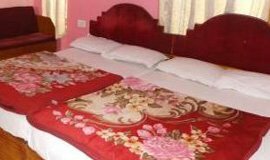 rooms are big and location is OKOK""
"We stay here for 1night and 2 days.Great location, service cleanliness, view, only bad thing is no elevator. Food is avarage, on mall road so can walk and go anywhere. 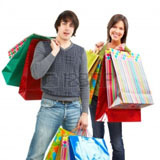 Get car just outside the hotel for site seen or outstation."" "the hotel was ok but food was worse. Room and bathroom was not clean and nothing was totally working. Not good experience at that time. 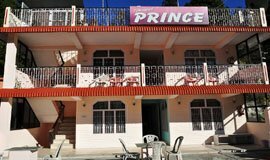 I prefer cheap hotel if I will get this kind of facilities."" 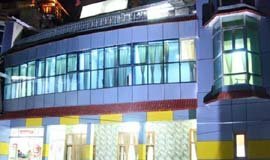 "One of the best hotel,nice room they offer free breakfast which is good,located in a good location, ready to help guest,they share information about Nainital ,sweet home is my home,keep doing good job""
"This hotel is average, Food was good. Location is bad.. Just near the market and no space in front of the hotel. We are stepping out from the hotel to the road."" "Great experience. Thanks to the personalized service -- Bhaskar, Kailash,Kamal, Kamal and Dinesh( and , of course, everybody else). Lovely, comfortable, well-appointed room. The bathroom --spacious. The linen , clean. The location is mind-blowing."" 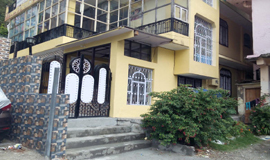 "It an excellent hotel with friendly staff . The front desk is quick to upgrade my rooms(Harris and Arjun). Very well behaved . Mr Rup Singh took care of the need especially the food, without any complain. " 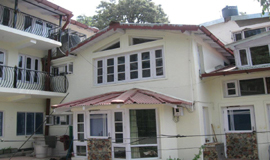 "This was a great stay ahead of Nainital. It took around 1 hour from Nainital to reach Sikri village where this place is located. 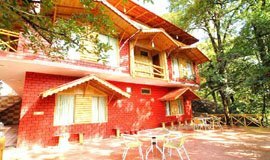 The cottages are great and facilities are really amazing. 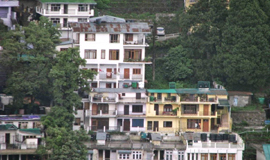 They provide trekking and bird seeing option, complimentary. " "Checked about 15 hotels on Mall Road n thought this was the best option. Non-seasonal rates suggest it's not budget but a notch higher. 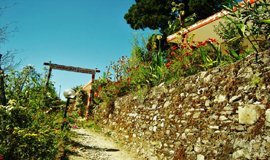 Felt the rooms were better than most of the neighbouring hotels." 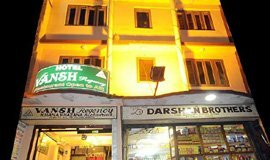 "Worst hotel seen in life, no management, no services, no facility.... these guys don't know even what is meaning of hospitality.... just think once even entering reception instead of going in side rooms... so sticky... smelly..... fumes all around "
"We stayed here for two days. Advantages: 1. 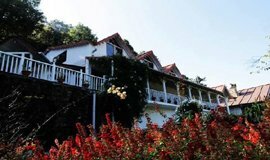 Though it is located around 5 kms from Mall Road, its location at the edge of a mountain endows it with breathtaking views of Nainital's hilly landscape. 2. 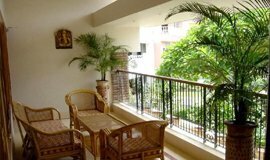 Tastefully decorated rooms with a picturesque garden. " 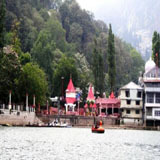 "This was my family vacation short trip to Nainital. 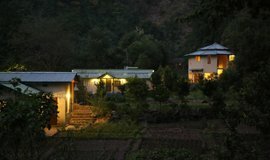 I stayed in Treebo Vansh Regancy for 2 days. The stay was pleasant. The hotel staff was nice and of helping nature. 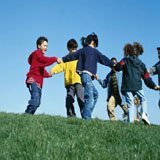 They arranged all my local trips." 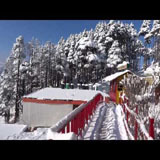 "We went for new year to nainital. 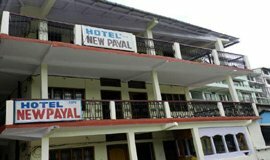 This hotel was very easy to locate having good parking space and in middle of mall road. 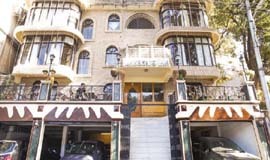 The staff was superb and so was rooms and food. " 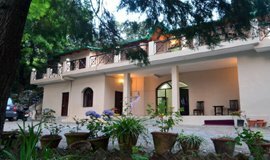 "Beautiful location, peaceful, value for money, the property is covering a large area and they have well maintained it too. 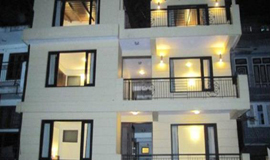 It's a center place to live all the tourist place are nearby. 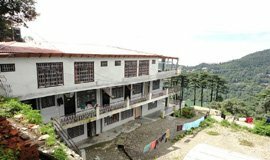 Hotel Manager Mr. Kamal Kumar is a very humble person "
"It's a nice place, if you want to avoid city rush and want to enjoy scenic beauty. 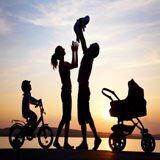 Although the place lacks some luxuries but the the basic things are well taken care of keeping in mind the amount you are spending. " 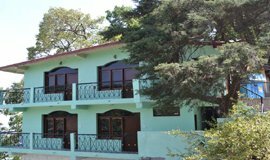 "loved the hospitality of the Narnia Club we really felt like home ,food was great the owners are great host and nice ppl loved their kids nice family we recommend this resort to all sure will visit again "
"The property is so charming that it instantly makes you fall in love with it. 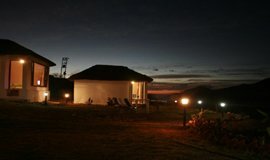 The beautiful mountaintops, sunsets ,serene surroundings and most importantly home cooked delicious food is definately worth a mention. " "First outing with for next n was damn awesome n lived it to my best.enjoyed it made new frndz out dere ...Wish to spend more time dere with the same camp coz...I loved the journey and the trip..Really aweosome n memorable"
"To experience Nature's beauty in abundance and be surrounded with lush green trees and mountains, an overview of a beautiful sunrise along with a very cozy cottage with a complete at home feel, green lodge is a place not to miss." "Very average customer service, poor cleanliness, no ventilation in the room. Area is overall dirty and the only good thing about the place is the view - lake-facing. Food is very average too. 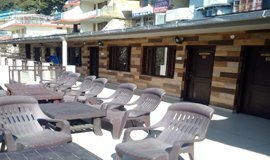 Had to ask for change of room"
"This resort away from the hustle and bustle of the nainital city, which is overcrowded round the year now, provides a perfect ambience for people looking for a peaceful 1/2 day vacation from their daily chores. 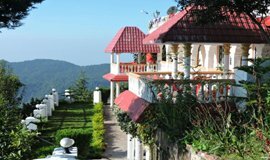 Breathtaking views "
"Hotel is good. 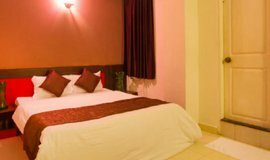 I was in this hotel for 3 nights and it was a great experience.rooms very clean and designed in a classic look.food was good and service was too great." "Hey! Folks! 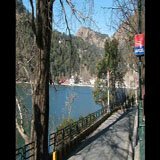 We visited Nainital on new year eve on 31st Dec 2016 with Friends . 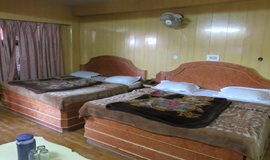 The Stay was really comfortable and the staffs were very attentive. 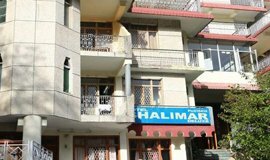 Also the GM over there was very co-operative as She helped us to visit the nearby places"
"The room was very good to stay, and it was clean and spacious. The room service was very good. The food and drink was very good to taste, complimentary breakfast was provided. The activity was average, free WIFI facility was available. " "Went with one of my family member to get relax on 18 Nov 2017 . 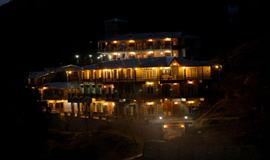 Truly speaking one of the best resorts to get relax . 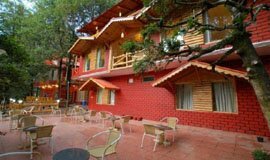 Peaceful and it's environment all around make u feel refreshed ." 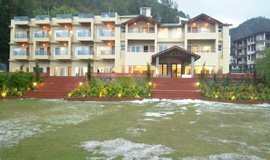 "As per me i found comfort and relaxing environment in the hotel and the service are as per commitment, also the food quality was good , everything was good "
"As per me i found comfort and relaxing environment in the hotel and the service are as per commitment, also the food quality was good , everything was good"
"Location of the resort is very good with nicely maintained. The food and the room service is not up to the mark. But the location of the hotels makes it perfect. 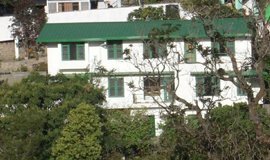 Cottage section of the hotel is beautiful and provides a wonderful view"
"Started off with nainital from kathgodam having chosen this hotel. 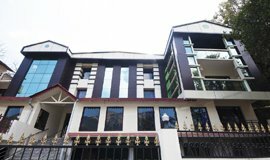 ambience good, staff friendly, lake view available in 2nd floor rooms, lift present.very near to MALL and tibetan market. 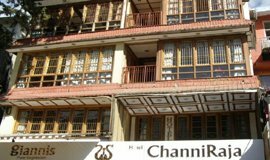 only disadvantage is u hav to climb around 50 stairs to reach the hotel"
"One of the best hotel,nice room they offer free breakfast which is good,located in a good location, ready to help guest,they share information about Nainital ,sweet home is my home,keep doing good job"
"Very Very Bed Service not clean room i have book family room but provide vary bed condition small room .... so bad experience in my life with my office staff ...."
"I along with my family stayed in this beautiful place in May 2017; The Camphor tree is a place run by an individual and is a little property; it not a hotel, neither resort nor a home stay. " 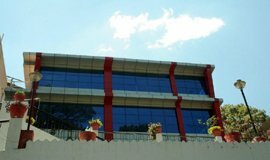 "The hotel is a bit far from the mall road, nd the roads leading to the hotel from mall road is closed during day time .so you would have to go around the lake to reach in morning peak hours. " 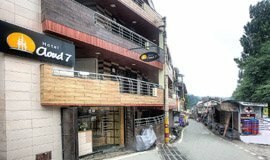 "This resort is located near the snow view point, where one needs to take a steep climb to the top on a narrow road ( Drivers with poor skills really need to avoid this route and park below). " 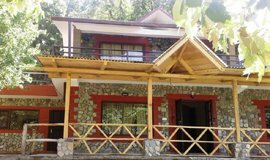 "The cottage is just far enough from the hustle bustle of Nainital to allow you peace and when you want it, experience Nainital as well. 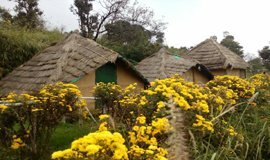 The rooms are very well appointed - hot water availability was a bit of a challenge though." 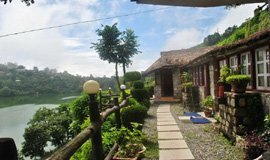 "Stayed in this cozy Home stay from September 26 to 29, 2017. 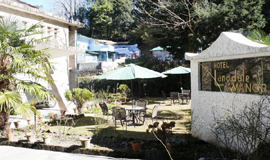 Located in a serene surrounding this place gave us the perfect getaway to relax. 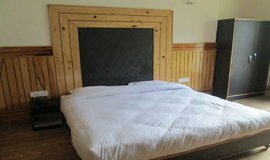 Tastefully done bed room, living place and clean bath room provided a great ambiance of comfort and style"
"Stayed with family, weather is very cold hotel room is very good and clean is very good in terms of services every thing was fine love to stay here, staff is very helpful food we had was yumiee specially local dall called bhutt ke dal"
"Had very bad experience in this hotel. Staff is very rude and doesn't bother what your needs are.. They just need money. Service is slow n worst. Food is pathetic.. We had MAP services and they didn't even bother to tell us what we can order." 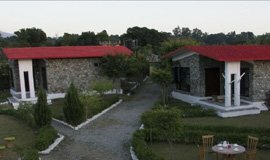 "Best location ,lovely suites in serene surroundings.beautiful view of lake,mountain and the private garden...loved the green surroundings good service and polite staff. 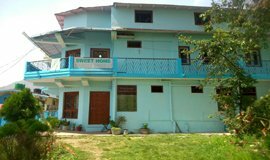 tasty food almost like homemade loved every moment in the cottage"
"Great family vacation at Pangot. 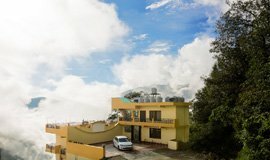 Naini Chalet is at an excellent location right at the foot of the Naini peak and is always literally surrounded by clouds. Courteous staff, home style good food and a view to savor. "